All too often the gifts that offer so much joy on Christmas Day itself are long forgotten come February. Membership of the Berry Bros & Rudd superb Wine Club, however, is guaranteed to provide pleasure well into the New Year, with a case of wine delivered to your recipient’s doorstep every other month. You can choose from six-month or year-long membership and six case options, starting from £360. 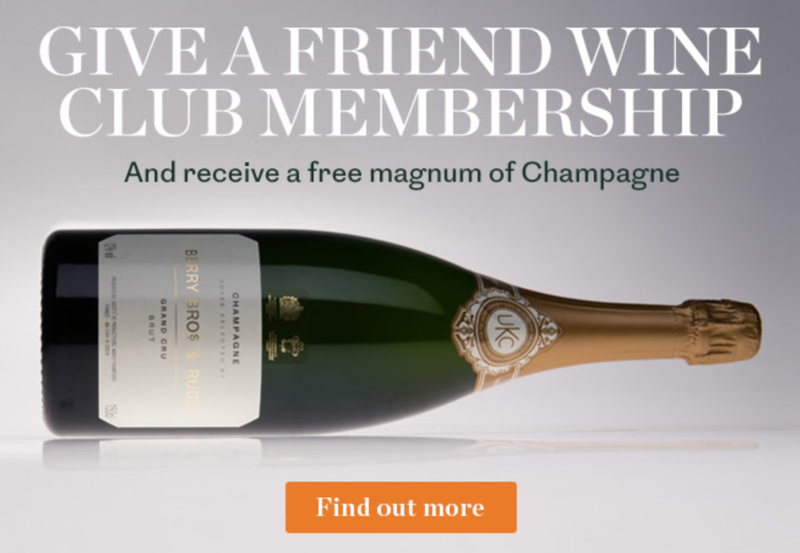 And, if you sign someone up by 20th December, Berry Bros & Rudd will send you a free magnum of their Grand Cru Champagne.